Skye Gravestones | Donald & Janet (McQueen) Campbell. Donald & Janet (McQueen) Campbell. 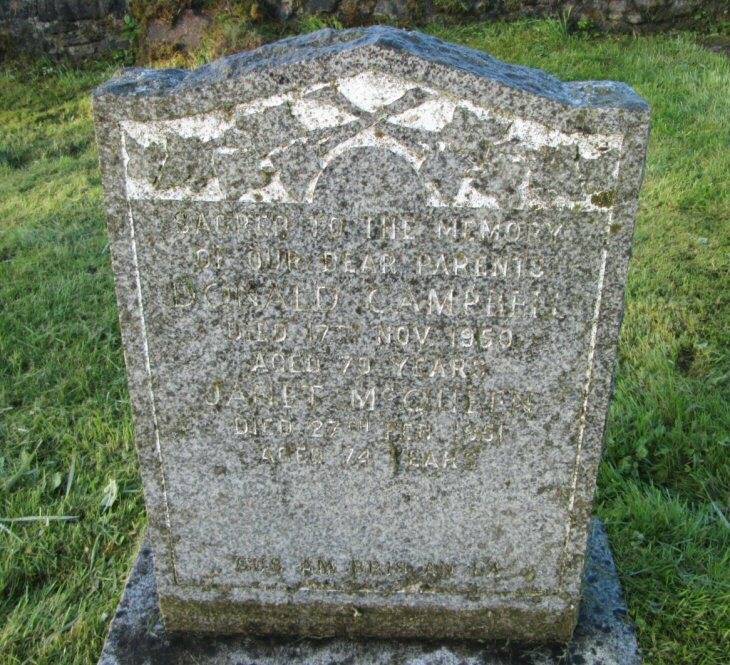 Sacred to the memory/of our dear parents/DONALD CAMPBELL/died 17th Nov. 1950/aged 79 years/JANET McQUEEN/died 27th Feb. 1951/aged 74 years.